Correct using of addon in practice will increase search traffic on 300 - 500% during the first three months after the implementation !!!!!! 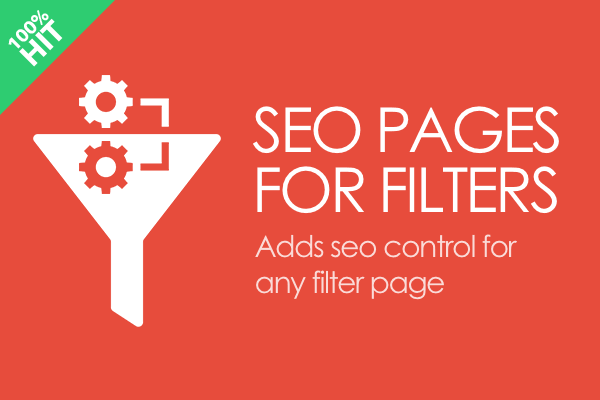 You can create an unlimited number of rules for automatically generating of SEO pages for filters. Rule for generation - is stored in a database template for page creation process.It is a set of parameters to generate pages with certain elements of the mask: attributes and meta tags, using which SEO optimized pages will be generated. After creating the rule, you can change it at any time to start regeneration, and all the pages, having the status of "unfixed" to be rebuilt again in accordance with the new rules (template meta tags and others attributes). One-time creating a rule, you can maintain a constant process of creation of new pages in the case if new variants of filters will be added in the category. To do this you need to use cron (the system will give you a ready link to add tasks in cron). 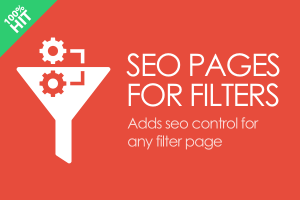 Also o use the filter combinations we have provided a manual mode of creating SEO pages. In manual mode, you can create a SEO optimized pages for filter their combinations (with several filter variants) without setting rules. To do this, you only need to copy the value of the parameter features_hash in link for formed filter page and use it with desired category. In manual mode, you can create SEO optimized page, that is open for search engines as well as having all the necessary attributes to be optimized. At any time you can change the status of the links in a fixed or unfixed status. text for product Bread Crumbs (Bread Crumbs will be shown on associated with this seo filters product pages). We have considered all the mistakes of other similar solutions and performed work optimally for search under the control of SEOs and you can be confident in the correctness of this addon! For filters, which do not participate in the optimization, links will not be created in the filter block. We have implemented links to the pages of optimized filters to all the places the user expected, these links will be clickable as possible, which will give them more credibility in the eyes of search engines. Your pages will be more competitive in the battle for the search results! — Anchors management for links to the page of seo filters !!! This approach allows to improve users behavior on the product page, to transfer the weight with the right anchor, which will increase the ranking of promoted pages! Use this advantage, your competitors will not have exactly same solution! Implementation of the module does not require changes in current URLs - the most painless implementation from the existing solutions! Search engines rate too bad pages in a low level, considering them unimportant. In our implementation, we will not have problems with poor rankings of promoted filter pages. — The order of the selection of filters is not important for result SEO page! Our addon knew about fact, that from change of places of feauters hash values in URLs - page must not be changed, because it is the same page. Our addon will return the same page regardless of the order in the filter parameter set. 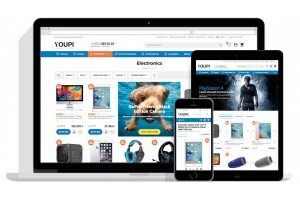 Youion can promote queries for all available in your store languages. To generate a site map link is given a unique address. You can add it separately to Google Webmaster Center. Search engines will quickly see the new pages, ready to promoting. Also, even the deepest by level filter combinations pages are guaranteed to be indexed. Get a better indexing of your pages! 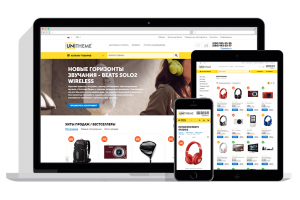 All the benefits of the addon were obtained in the course of work of a whole group of specialists in the field of e-commerce SEO. We can proudly claim a more thoughtful and comprehensive solutions you will not find. Implementing of similar by deatures solution require more than 200 hours of team work. 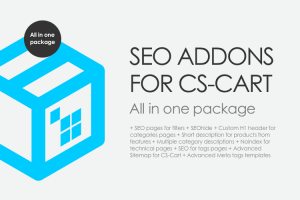 SEO Module for filters pages was developed as one of the most perspective directions of work of our team. In the future we plan to maintain and develop features for new versions of CS-Cart platform. We guarantee a rapid response and solve customer problems, which is not available to competing solutions! After installing the addon, you will see detailed instructions on working with SEO Links for the filters in two modes (automatic and manual creation of pages). If you have another third party addons, that use the same filter block (filter by color or other modules), you will need to adapt one of them - 1 hour). After installing the addon it is required to make two changes to the CS-Cart Template files (instructions are available after installation). If you are not able to make changes in CS-Cart files, you can order the installation service, together with a module. The addon does exactly what he says he does. I am very pleased with him and with the help desk support (I have an older version of the cart that seems to have a bug in it, the boys in the help department have solved it in no time).I recommend it! Очень крутой модуль! Благодарю ребят за крутую идею. Видно, что компании отталкиваться от нужд бизнеса. Отличный модуль! Что тут сказать, как только узнал, что такое СЕМАНТИКА) не раздумывая купил этот модуль. С помощью его, семантики и правильных текстов, спустя некоторое время по сч. и вч. запросам попал в топ!!! Спасибо, последнее обновление модуля было очень кстати, как раз думал, как решить проблему с повторяющимися сео именами а также редиректами, благодарю разработчика за помощь с моей доработкой, пришлось подождать неделю, но теперь работает с небольшими доработками под нашу специализацию. Данный модуль решает многие проблемы одновременно. Конечно, не сразу в нем разобраться смогли..но в процессе работы уже видим маленькие,но стабильные результаты. главное- им необходимо заниматься постоянно! Сan you offer the same functionality to cs-cart 4.2.4? I've been waiting for this new version about 3 weeks, but now completely satisfied with this solution, because it has received approval from my SEO. For two days we have created and optimized the pages for more than 500 queries.